3-D Cutouts were also designed for the content promotion that helped raise money for UCSF Benioff Children's Hospital . The marketing team needed various elements for the promotions–pictured here are a gift certificate, social media image, sticker and email template. 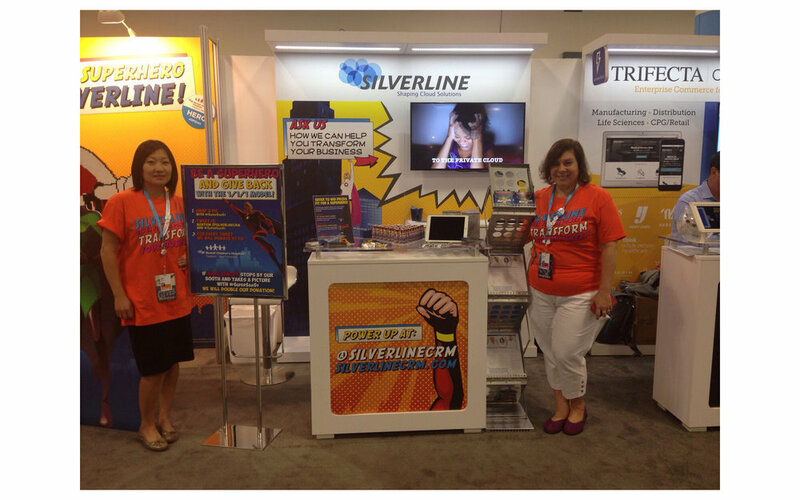 Silverline wanted to stand out from the rest of the corporate booths at the Dreamforce conference in San Francisco. They started with a superhero theme which MightyDesignStudios developed into a concept that was applied to booths, customized premiums (such as USB chargers and energy drinks), apparel, contest promotions, social media HTML email campaigns, and supplemental marketing materials. 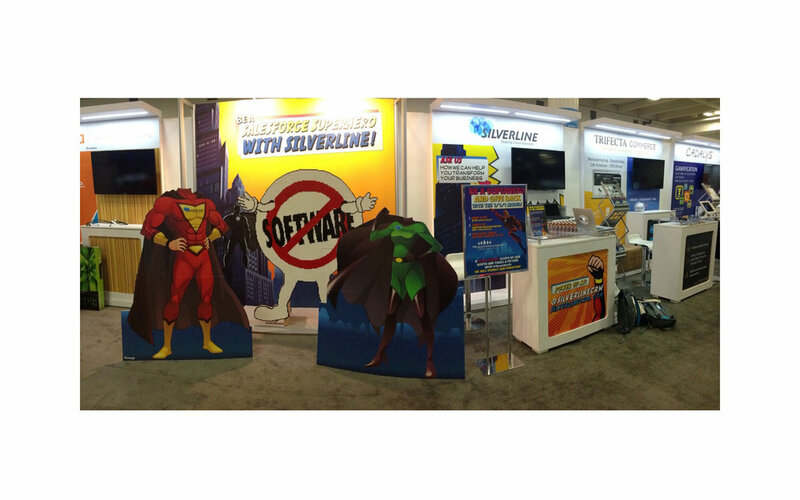 The bright comic book style made Silverline a memorable and successful addition to the conference.